Welcome to Florida Marble & Tile. We are the premier luxury natural stone and man-made tile installation specialist. 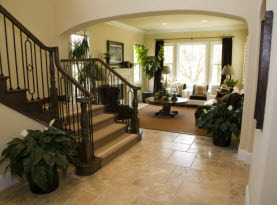 We work with interior designers, architects, contractors and home owners for years. Small residential to large high end commercial projects are no problem for us! Florida Marble & Tile is a full service Natural Stone and Man Made Tile Design & Installation Contractor serving Bradenton, Sarasota and surrounding areas in Florida. We offer Professional Flooring, Wall, Countertop and Pool Deck stone and tile installation. 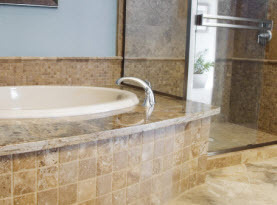 We specialize in Bathroom & Shower Tiling, Countertops, Backsplashes, Tile Mosaics, Fireplaces, Stone Framed Doorways, Pool Decks and other Floor Coverings. We service Residential and Commercial customers. With Florida Marble and Tile, our experts have advanced training, experience in the field, and remarkable skills that more than qualify them to perform the services we offer. In addition to having the best in the business in our arsenal, we exclusively utilize premium materials, products, and equipment available only to licensed professionals to ensure our customer receive nothing less than maximum quality workmanship. We are dedicated to delivering a phenomenal experience consistently that includes high morals and work ethics, friendly customer service and superior execution on all services rendered. Florida Marble and Tile flooring services extended to commercial and residential properties throughout Bradenton and Sarasota, Florida and surrounding areas that include floor installation as well as repair and replacement services. Installing tiled floor for your home or business needs to be done with precision and care. To ensure crisp and perfect alignment and efficiently laid tile, trust in our Florida Marble and Tile and let our experts ensure your tile floor is done with maximum results. Florida Marble and Tile includes installations, repairs, and replacement services of countertop and backsplash installation for commercial business owners and residential homeowners across Bradenton and Sarasota, Florida and surrounding areas. 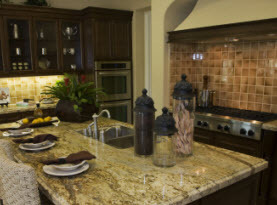 Countertops and backsplashes equally need the attention to detail during installation. With proper alignment, grouting, cutting, and placement, your countertops and back splashes can last well past their projected lifespan with proper maintenance. Pool & Spa Tile, Decks & More! Florida Marble and Tile helps homes and businesses in Bradenton and Sarasota, Florida and surrounding areas with their pool and spa decks with tiling the surfaces. 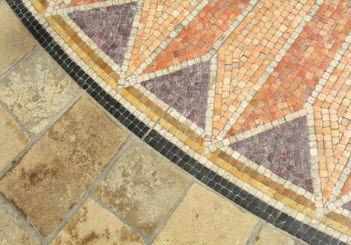 Tiling these surfaces is common place for the professionals of Florida Marble and Tile. We have plenty of experience installing the tile on the decks of pools and spas and can give you manmade or natural stone tiles to give your spa or pool deck just the right touch. Showers and bathrooms throughout Bradenton and Sarasota, Florida and surrounding areas have plenty of tile surfaces in homes and businesses. Whether you need a fresh installation of tile or find that you need replacements and repairs, Florida Marble and Tile is available and eager to assist you with an assortment of options. Florida Marble and Tile tiles fireplaces, doorways, and many other surfaces so that your Bradenton and Sarasota, Florida and surrounding area home or business can have the styles liken to your tastes. 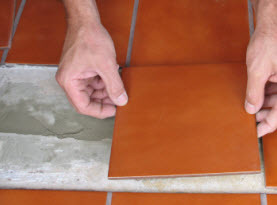 Getting the installations, replacements, and repairs for your tile is just as important to us as it is for you. Florida Marble and Tile offers an assortment of manmade and natural stone tiles, a plethora of colored grout, and a variety of ways to achieve the style you wish to have for your floors, showers, tubs, countertops, kitchens, fireplaces, doorways, and more. In addition to providing an unbeatable installation services for your tile and grout, we also perform superb replacement and repairs long with maintenance services to keep your newly surfaced tile and grout looking impeccable for years to come. Call Florida Marble and Tile today if your home or business Bradenton and Sarasota, Florida and surrounding areas are in need of state of the art tile and grout services.